The thought that’s been in the back of your mind for awhile has been persistent. It’s the question that nearly everyone addresses at some point or another—is it time to buy a home? Making the jump into home ownership can seem scary and challenging, and there are so many steps along the way to make buying a house a reality. 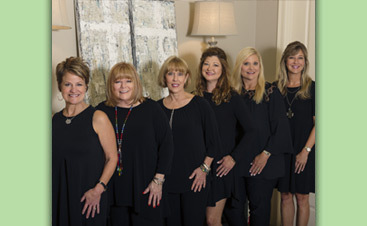 With the realtors from Faith Management & Realty Group by your side, you’ll have a dedicated team of professionals who are passionate about helping you achieve your real estate goals. Even if you’re worried about the steps to becoming a homeowner, have Faith—and contact our real estate team today. In this day and age, renting seems to be one of the more popular real estate and housing trends. Practically everyone knows at least someone who’s renting—or is renting a home themselves. The upsides to renting make it appealing as a short term solution. The times immediately following high school and college are rarely marked by buying a home. This is a period in our lives signified by transition, such as trying to figure out careers (and where those jobs will take us). It’s perhaps not entirely sensible to be locked down to a location when your job plans are in limbo, and it’s completely illogical to attempt investing in a house when you don’t have the financial means to do so. Yet at some point, you’ll likely find yourself more established, less transitory, and ready to invest in a home that can serve as a financial asset. 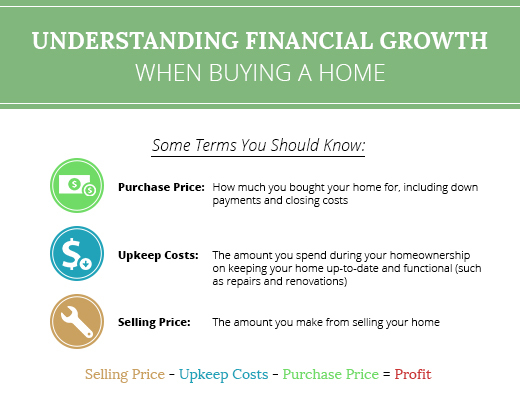 Take a look at some of the reasons buying a home can be of significant value. If your selling price is higher than the purchase price and upkeep costs combined, you will have made a profit. This potential for financial growth is not possible in the renting game—in renting, you’ll still be paying thousands of dollars, but without any opportunity to generate additional revenue. When proper upkeep and maintenance is taken into consideration, home value often appreciates over time, particularly if you buy in an area that’s grown in desirability. Countless opportunities are linked back to your credit score. Buying cars, attending a university, performing home renovations, and even opening a business are all costlier things that usually require a loan. When you make mortgage payments for your house consistently and on time, it shows. This helps build your credit score, which means your likelihood for getting loans with reasonable interest rates increases (1). With lower interest rates, your loan payments could be more affordable. 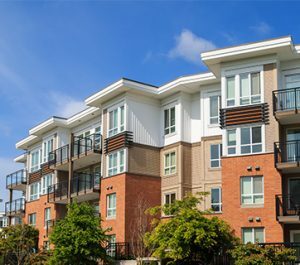 Oftentimes, an apartment complex or landlord has a set of rules and regulations you need to follow. Some might forbid painting a different color, or hanging up holiday lights, or even having a pet. When you buy a house, you’ll gain an enormous amount of flexibility in how to make your new digs feel like home. While rules might still exist within neighborhood organizations, they’ll likely not be to the same extent that’s applicable in the world of renting. When you invest in real estate, you own the property. This means that you can more or less have significant control in what to do with your place. Especially in houses with yards, you could put in a pool if you wanted, or create that beautiful garden you’ve always wanted. Very infrequently in the world of rentals do you have the same liberties with land ownership that you do when you own the house. Home renovations and additions are not always just a great improvement project, but are sometimes necessary. If your family is expecting, or an elderly family member is coming to live with you, renting a home would inevitably require moving. Or even if the kitchen is too small, or the master bathroom is anything but, you’ll find yourself once more in the same scenario—in need of a moving truck. But with buying your home, you have far more potential for creating the changes you’ve hoped for. You can knock down some walls, or put some new ones up, get that clawfoot tub you’ve wanted for ages—the opportunities for, well, opportunity are nearly endless. You can see the incredible freedoms and financial possibilities that can come from buying a home. It makes sense why millions of Americans are searching to find a place to call their own. The next important piece is figuring out when the best time to buy a home is. See some of the indicators that show you’re ready to become a first time home buyer and real estate investor. When your credit score is in the good (or ideally, great) range, this is the first step in moving towards home ownership. You have a reasonable amount of savings (and financial stability). Buying a home means you’ll need to put money towards a down payment, as well as make monthly payments on your mortgage. Many experts agree that your monthly home payment should not exceed 31 percent of your monthly income. There’s of course some wiggle room, but it’s a good rule of thumb to consider a third of your monthly income going towards home payments. 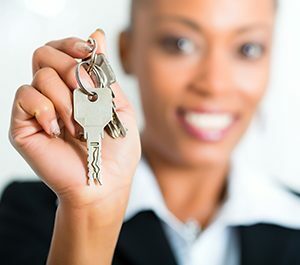 When you’re at a place where you can afford a down payment, as well as have the financial stability required to make a monthly payment a routine (and not a stressor), you’re in the makings to be on your way to home ownership. In terms of savings, this is helpful not only for the down payment, but for owning a house as a whole. There will be routine repairs and maintenance that will need to be performed. Often, smaller things—like an HVAC check or having the dishwasher fixed—will be significantly lower in cost than some of the bigger things, such as replacing the roof or washing machine. It’s estimated that you’ll spend between 2.5 and 3 percent of your home’s value on repairs and upkeep each year. Your financial status should not just be linked to your ability to buy a house, but for the ability to upkeep one as well. You see yourself staying put for several years. There are countless home network shows that demonstrate buying old houses, renovating them in a 30-minute span, then flipping them for significantly more money. This paints a nice picture, but ideally, the general rule of thumb is to buy a place where you see yourself staying for at least five years (3). Due to the mortgage costs, the upfront down payment and the subsequent closing costs, you could be at risk for losing money. Additionally, your home value will likely continue to appreciate more the longer you have (and continuing investing) into your home. Especially in areas that are quickly developing, you could see huge ROI on a house that you have for more than five years. It’s essential to keep up with the housing market and understanding trends, but these are great guidelines to figuring out whether you’re in a good place to buy. You understand why to buy a home, you get when you’re in a good place to become a homeowner, but how does it to work to actually make it happen? 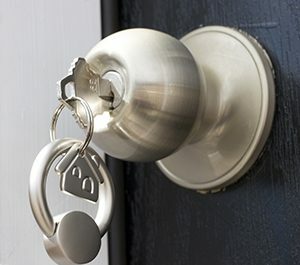 Fear not, first time home buyers—Faith Management & Realty Group are your expert realtors to guide you along the way. 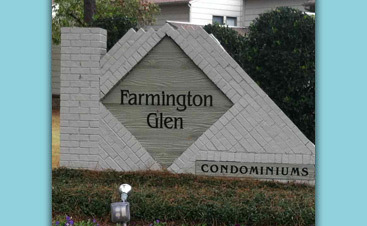 As the realtors of choice in Germantown, you can rest assured that our experience and compassion are here to help. At this stage in the real estate process, you should already be in the position to get a house. You should be confident in your credit score and finances, feel ready to make a substantial investment, and understand the value of staying in a home for awhile; this leads you to Step 1: getting prequalified. Many major banks are a great resource for getting a letter of prequalification, which is helpful when working with loan lenders (your bank might also provide lending services as well). Compile W-2 statements, bank statements, and any other financial documentation you can find to use towards getting preapproved for credit (4). Getting prequalified and preapproved involves submitting a first-round application to a loan lender, where they’ll let you know what they could give you in return. Preapproval is like the first date of the whole process—if you’re not liking what they’re offering, you do not have to accept this offer (5). Got everything else in order? Great! Now’s the perfect time for you to contact the real estate experts at Faith Management & Realty Group. Our realtors are your esteemed guides in helping you understand financing, location, and so much more. Why Faith Management & Realty Group? There are a number of steps that continue to be important in the search for your first house, but these are where the expertise of Faith Management & Realty Group comes in. 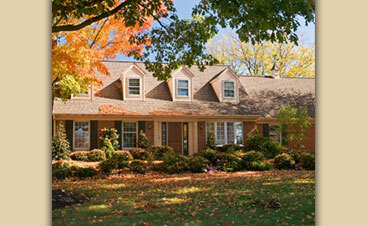 Our realtors are your premier choice for navigating the real estate market in Germantown. See why having a little Faith at your side can go a long way! We have knowledge of neighborhoods, schools, and Germantown as a whole—not only because it’s good information to have, but because we think it’s an essential component of helping you find your dream home. You need someone who knows the area and can provide thoughtful insight that matches up with what you’re looking for, and our team of realtors are the ones to help you there. Many realtors are qualified in their particular realm of real estate (more specifically, in the art of buying and selling houses). The collective experience at Faith Management & Realty Group is what absolutely sets us apart. From real estate brokers to leasing, maintenance, property management, and everything in between, our talents span nearly every realm of all things real estate. This is huge for first time home buyers, because we can offer so many resources and intel that other realtors simply lack. We’ve managed a number of properties, caring for a number of residents, and have helped countless families in the Germantown area find the homes they’re looking for. We don’t simply work with a number of people, we are committed to ensuring their needs are met. We know how important buying a house is, especially as a first time home buyer. When you work with our realtors, you’ll find a team of people who care deeply about finding the home that you’ve dreamed of. You deserve to work with someone who thrives on attention to detail, and who is relentless in helping you find a place to call home. Our team of realtors works diligently to guide you through the process of home buying, and will always keep you as top priority. The real estate business can be a tough one to encounter, but with the dedicated realtors at Faith Management & Realty Group, you’ll be sailing through much smoother waters. The process for first time home buyers is an intense one, but an exciting one as well. You’ll be settling into an incredible location, you’ll finally be owning your own home, you’ll have the control and freedoms you’ve longed for in terms of where you live. This might be the place where you watch your children grow up, and the place your grandchildren come to visit. Or this might be the place you have to yourself. Or again, this might be the financial investment and strategy that you can see making a positive impact on your portfolio as a whole. Whatever your reasons may be, you’re on the cusp of making an incredible life change. At Faith Management & Realty Group, we would be honored to guide you along the way. You’ve waited long enough for a home—now’s the time to make it happen. Call Faith Management & Realty Group today to get started. It’s true that real estate can be challenging, but having Faith at your side will make all the difference.